Volunteer Housing Board and Commissioners Summit a Success! Colorado NAHRO is happy to present a FREE Leadership Summit for Volunteer Governing Board Members: Expanding Quality Affordable Housing in Colorado. The Summit will take place on Friday, March 8 from 8:00 am to 1:30 pm in Lakewood and includes a complimentary lunch Lakewood. This is an excellent opportunity for Commissioners and Directors to gain some valuable knowledge and share best practices with your peers. Safe and secure housing is critical for the most vulnerable populations, including those that have been impacted by the criminal justice systems. Public housing authorities, often the primary source of affordable housing in the community, can help this population reunify with families and successfully transition into the community leading to decreases in homelessness, decreases in crime, and improved safety of our communities. The Department of Local Affairs, Division of Housing, in cooperation with Colorado NAHRO, invites the local public housing authorities of Colorado to an interactive workshop led by the Vera Institute of Justice, a national non-profit that is working with PHAs across the country to increase public housing access for people impacted by the justice system. The workshop will include sessions on reviewing and revising PHA’s admissions policies, designing and implementing reentry programs, and the types of reentry services and supports available for formerly incarcerated people in Colorado. Click here for a case study conducted by The Piton Foundation exploring how Adams County local government is being fiscally impacted by, and is attempting to deal with, its increasing number of housing-challenged residents. Industry leaders have been implementing "green" solutions for a number of years now and have gained a competitive edge as a result.If you have been struggling to join them, this forum is worth your time. New financial incentives and more streamlined processes are making it financially lucrative and reducing the barriers to entry. Our panel will be your guide to scaling up or starting new green projects. Established in 2007 by the NAHRO Board of Governors, Housing America is the national public affairs campaign that raises awareness of the need for and importance of safe, quality, affordable housing. This year, the campaign will celebrate its anniversary in a variety of ways. During the Washington Conference, Housing America will host a book drive. Book drop-off will be located in the NAHRO conference registration area. Please represent our region by donating a book! The Housing America Task Force will also host a concert Monday, March 27, 2017 from 8-10 p.m. at the conference hotel. The concert will feature the alternative country band, The Honeycutters, and art from past “What Home Means to Me” calendar contest winners, which will be available for purchase. Colorado NAHRO is offering up to eleven $1,000 Scholarships that may be used for any expenses directly related to post-secondary education (tuition, room/board, books, etc.). The applicant and their family must reside or receive direct housing benefits for at least 12 months prior to application through any housing program administered by any agency that is a member in good standing of Colorado NAHRO. High school seniors; OR adults currently enrolled in a post-secondary program may enroll. Click here to download complete details of the program and an application form. Applications are due by March 15, 2017. Click here for an educational discussion of how the uncertainty about tax reform is already hurting affordable housing and the Low Income Housing Tax Credit program. PHADA and NAHRO are pleased to announce that on January 18th the U.S. Court of Federal Claims found in favor of nearly 350 public housing authorities that brought a lawsuit against the federal government challenging HUD’s reduction of their FY 2012 operating fund subsidies based on the amount of Plaintiffs’ so-called “excess” operating reserves. The President’s FY 2012 budget proposal included an Operating Fund request of just $3,961,850 which was $1 billion short of the amount needed to pay the aggregate estimated operating subsidy eligibility amount. HUD devised an “allocation adjustment” based on the level of savings agencies had accumulated in their operating fund reserves. As proposed, this allocation adjustment would have offset the aggregate amount of operating fund subsidies to which PHAs were entitled in 2012 by the amount of the PHAs’ “excess” operating reserves up to $1 billion. At the Department’s behest, Congress approved the plan, changing the aggregate amount of reserves that could be used as an offset to $750 million. Judge Elaine D. Kaplan stated in her decision that HUD “breached its [contractual] obligations under the ACCs when it applied the [excess] operating [reserves] offset in response to the 2012 Appropriations Act, rather than the pro rata reduction prescribed by” HUD’s regulations. As noted by Judge Kaplan, the plaintiffs requested compensatory damages of almost $136 million. The Court has ordered the attorneys to file a status report by February 17, suggesting how the Court should proceed. Carl Coan, III, Plaintiffs’ lead attorney, believes that the next logical step will be to calculate the exact damages to which the Plaintiffs are entitled and submit them to the Court for approval. Assuming the parties can agree on the amount of damages, the Court will enter a final judgment and order awarding Plaintiffs their damages. The Court’s ruling may be accessed here https://ecf.cofc.uscourts.gov/cgi-bin/show_public_doc?2013cv0006-66-0. Click here to read the full documnet. Thanks to the Fort Collins Housing Authority for preparing this material. Click here to read a great article about the affordable housing crisis in the metro Denver area. Poster Contest judging to be done at Annual Conference, May 9-13 at the Vail Marriott. The Colorado Capital Conference is a unique opportunity for Colorado residents to interact with the nation’s leaders in Washington, D.C. Participants will learn more about our system of government and how to best influence policy in an ever changing political environment. Speakers in past years have included member of Congress, the President’s cabinet, and other prominent opinion leaders. You can learn more and fill out a brief application by visiting www.coloradomesa.edu/capitalconference/ or calling 970-623-9388. Steele Properties closes two property acquisitions in Texas and Colorado and will provide significant renovations to the affordable housing communities through the Low Income Housing Tax Credit program. Click here to read press release. ICAST, the non-profit that administers the new Resource Smart Arvada energy efficiency program is hosting an event, along with HUD, to recognize the City of Arvada and Jefferson County Housing Authority for their collaborative commitment to retrofit assisted affordable multi-family rental properties in Arvada. ICAST and other program officials will gather with the Mayor and City Council members to join Rick Garcia from HUD to recognize the success of this effort at an event on March 20th at 10 AM at the Aspen Ridge Apartments 11051 W 63rd Place - Arvada, CO 80004. A coalition of housing and community development partners has released a report that reiterates the critical role new home construction plays in the overall health of the Denver metro region and the broader overall Colorado and U.S. economy. The report, which analyzed data from 2013, aims to provide a better understand the impacts of new home construction in Colorado and what type of housing is still needed.Click here to download the complete report. Congratulations to the Essential Home Repairs Program team for being named City of Arvada Team of the Year. The team is made up of William Quintanilla, Housing Rehab/Loan Specialist; Cherrie Maltos, Housing Services Specialist; and Wendy Brazzell, Administrative Specialist. Metro West Housing Solutions and other organizations are sounding the alarm that the work they are doing will become significantly more difficult without the Low Income Housing Tax Credit (LIHTC), which is currently being debated in Congress. Click here to read more. WASHINGTON D.C. - Today U.S. Rep. Ed Perlmutter (CO-07) and Rep. Steve Stivers (OH-15) introduced H.R. 5776, the Tenant Income Verification Relief Act to allow tenants on a fixed income have their income certified and/or verified once every three years rather than annually. This bi-partisan legislation will help streamline and reduce the burdens placed on tenants for purposes of determining their eligibility for certain Federal assistance housing programs, including seniors and other individuals and families who consistently maintain a fixed income. “This bill is a great first step towards ensuring our nation’s low-income families have safe places to live while simultaneously reducing administrative burdens families face yearly and creating better opportunities for housing authorities to use their time and resources more efficiently,” said Rep. Stivers. The legislation amends The Housing Act of 1937 and applies to both public housing authorities and the voucher program. The legislation could also incentivize more privately-owned housing operators to accept vouchers, since the stock of public housing continues to face fiscal pressures providing tenants more flexibility and choice. Since assuming office in 2007, Rep. Perlmutter has served on the House Financial Services Committee which has jurisdiction over many issues including housing programs such as Public Housing and all HUD programs. In October 2014, Rep. Perlmutter was recognized as “Legislator of the Year” for his significant contributions and support for affordable housing by the Colorado chapter of the National Association of Housing and Redevelopment Officials (NAHRO). Rep. Perlmutter has also supported other federal housing programs, including: Low-Income Housing Tax Credits; New Markets Tax Credits; Community Development Block Grants (CDBG); HOME Investment Partnership Funds; and efforts to fund the Housing Trust Fund. Colorado NAHRO honored Congressman Ed Perlmutter as 2014 Legislator of the Year in appreciation of his continual support of affordable housing and community development on October 6 at the Lamar Station Affordable Housing Development in Lakewood. Over 50 industry leaders attended the event. Click here to hear the Congressman's acceptance comments. 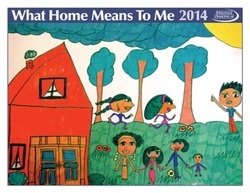 Washington, D.C. (October 1, 2014) – Today, the National Association of Housing and Redevelopment Officials (NAHRO) announced the winners of the association’s annual “What Home Means to Me” poster contest. The grand prize winner and 12 national winners represent youth from across the country in grades kindergarten through 12 who currently live in affordable rental housing administered by a NAHRO member housing authority or community development agency. The grand prize and national winners are: Ayanna Henderson, Danville Redevelopment and Housing Authority (Va.); Adilene Barrios, McAllen Housing Authority (Texas); Audreann Artis and Katana Mosson, Albion Housing Commission (Mich.); Dianara Peña, Klamath Housing Authority (Ore.); Ericka Alston, Beaufort Housing Authority (S.C.); Harmonee Williamson-Cooper, Greensboro Housing Authority (N.C.); Amy Le, Oakland Housing Authority (Calif.); Felicia Fox, Dedham Housing Authority (Mass. ); Joy Wise, Aurora Housing Authority (Colo.); Elvira Salazar, Cameron County Housing Authority (Texas); Shauna Stanton, Millsboro Village Apartments, MHFP East Coast Management Company (Del. ), and Nohemi Taguite, Housing Authority of the County of Los Angeles (Calif.). “This year, more than 250 entries were submitted to NAHRO,” said Preston Prince, CME, president of NAHRO. “The annual poster contest is an opportunity for youth to voice what having a safe, clean and supportive living environment means to them.” The winners’ artwork will be featured nationally in the association’s annual “What Home Means to Me” calendar and publications. They will also receive $500 and $100 U.S. Savings Bonds respectively. Additionally, the grand prize winner and a member of her family will be honored at NAHRO’s legislative conference in Washington, D.C. in March 2015. The annual poster contest is part of NAHRO’s Housing America Campaign, which raises national awareness concerning the need for and importance of safe, sustainable and affordable housing by educating national decision makers and community leaders; advocating on behalf of lower-income families and individuals, veterans, children and seniors, and persons living with disabilities; and empowering clients and residents to share how accessing affordable, stable housing has impacted their lives. Pam Simon, Deputy Director of the Housing Authority of Colorado Springs, will be retiring in October. Pam has made many contributions to NAHRO over her over thirty years of service. But there are two contributions in particular that that have real staying power for our organization and will become part of Pam’s Legacy. The first was Pam’s idea to expand our annual awards program to include an award we call the Unsung Hero Award. This award recognizes the volunteers that have given countless hours to Colorado NAHRO and it has become a main stay of our awards presentation. Pam was also instrumental in the development of our Corporate Sponsorship program which greatly expanded the number and types of sponsorship opportunities to support our annual conference and the organization as a whole. This program has more than doubled the amount of money we raise annually, has allowed us to keep our conference registration rates and member dues extremely low, and has allowed us to funnel our annual profits into other programs that support our members and residents. When Pam retired from Colorado NAHRO she was honored with the Dedicated Service Award, an award we have only given out a few other times.Thank you for your contributions Pam, our industry will be poorer for your loss. CDBG Users Group Meeting- Thursday, October 16, 2014 from 9:30 to 11:00 a.m.
Fort Collins will be hosting the meeting, which will be held at: American Eagle Distributing, 3800 Clydesdale Parkway, Loveland, CO. For more information contact ksmith@douglas.co.us. Please join us as Colorado NAHRO honors Congressman Ed Perlmutter as Legislator of the Year in appreciation of his continual support of affordable housing and our communities. The event will take place on Monday, October 6 from 4:00 pm to 6:00 pm at Lamar Station Crossing, 6150 W. 13th Ave., Lakewood, Colorado 80214. The City of Arvada and the Division of Housing will be hosting a Section 8 Users Group meeting on September 22 to discuss HUD's proposed changes in the Fair Market Rents which could result in as much as 20% increases. The meeting will be held at the City of Arvada on Monday, September 22. Click here to get all the details. 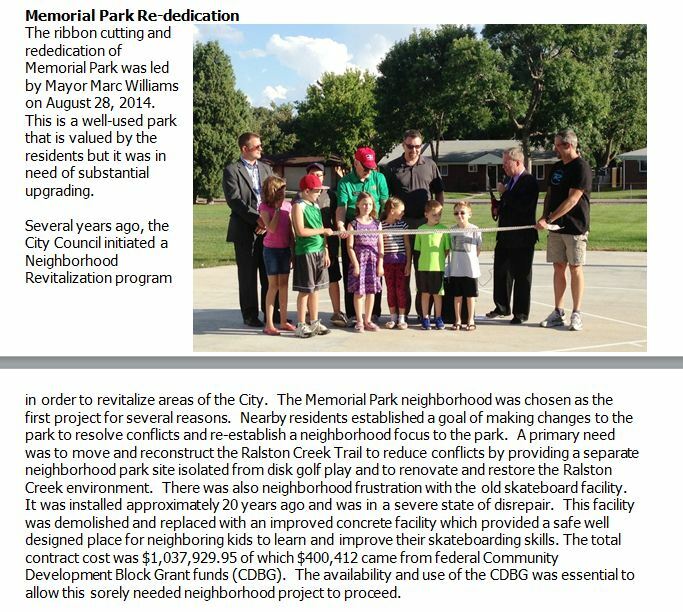 The City of Arvada Community Development Agency has successfully leveraged CDBG funds to revitalize a local park. Click here to read more about the Re-dedication. The International Research and Global Exchange Committee (IRGE) recently completed a new strategic work program to align the work of the Committee with NAHRO goals. One of the important goals for NAHRO is to encourage the active participation of NAHRO regions and chapters to ensure that NAHRO is a growing, member friendly organization that is open, responsive, and committed to improving its highest-quality services to the membership. Three members of NAHRO comprised a Delegation to the recent Seventh session of the World Urban Forum held in Medellin, Columbia from April 5th to 11th. That delegation consisted of Helen Sause (San Francisco, CA), Dan Trozzi (Phoenix, AZ) and Saeed Hajarizadeh (Vancouver, WA). The World Urban Forum is a non-legislative technical forum convened by the United Nations Human Settlements Programme (UN-Habitat), hosted in a different city every two years. The World Urban Forum is the world’s premier conference on cities and urban issues. Convened by UN-Habitat and hosted by a different city each time, the Forum is one of the most open United Nations meetings, bringing together stakeholders from across the spectrum to engage in the most pressing challenges facing our cities. The Seventh session of the World Urban Forum (WUF) brought together some of the most committed “City Changers” from the South and from the North. It was a platform to create new networks and partnerships and strengthen existing ones, with a meaningful impact on equity and development. Participants gained new awareness about the role that human settlements, towns and cities, countries, international agencies and development partners can play in advancing an equity agenda, sharing knowledge and best practices. The final tally for attendees of WUF7 was 22,000. There were approximately 500 from the United Stated representing the government, private, education and nonprofit sectors. The NAHRO Delegation wanted to utilize what was learned here and take it back to our own communities. How do we house our homeless and reduce rent burden for those struggling to survive? WUF7 was a laboratory of ideas. On the first day of WUF7, through collaboration with HUD and Next City, NAHRO delegates made a presentation in the Innovative America’s booth titled “Affordable Housing Development for Practitioners”, which was a discussion on mixed income developments and best practices in soliciting buy-in from the community. Helen Sause, past NAHRO President, was invited to be part of the Official US Delegation at WUF7. Mrs. Sause and the other NAHRO delegates attended special morning preparatory meetings, which included the HUD Secretary Shawn Donovan and the Deputy Secretary for the Office for International and Philanthropic Innovation, and evening events with the US Delegation and other US partners attending the Forum. They networked with a great number of foreign and US professionals interested in advancing the urban agenda worldwide. While at WUF7, The NAHRO Delegation also met with the International Urban Development Association (INTA)’s President Maurice Charrier and Luis Buezo de Manzanedo, INTA’s Latin America representative. INTA has had a long term partnership with NAHRO. The Delegation welcomed creative ideas in which to collaborate and cooperate both domestically and abroad. Further, they encouraged INTA to attend our National Conference in Baltimore to see firsthand many fine examples of urban regeneration as well as to learn what has not worked. It was emphasized that NAHRO placed a lot of value on our relationship and looked forward to future collaborative endeavors that mutually benefit our membership and INTA. Housing Colorado & the Colorado Division of Housing (CDOH) are soliciting feedback on the application process surrounding the new allocation of $23 million in to the Colorado Housing Investment Fund (CHIF). This is a great opportunity to find out how housing needs are addressed when DOH and the AG finalize the transfer of the new funds. Below is the link to the webinar next week, further description of the 2012 outcomes, and an email address to submit comments. The deadline for all feedback is comments is April 1, 2014. The Division of Housing has posted the terms of the original 2012 allocation online. Colorado NAHRO members can review the documents here http://www.colorado.gov/cs/Satellite/DOLA-Main/CBON/1251638415915 and provide their feedback on the application process via email to doh_chif@state.co.us. 2014 Colorado NAHRO Annual Conference Registration is Now Open! Colorado NAHRO is happy to present the 2014 Conference, Embracing the Challenge, at the Two Rivers Convention Center in Grand Junction, Colorado. This year’s event takes place Monday, May 19, through Friday, May 23. The Maintenance Conference takes place on Monday and Tuesday, May 19-20 and the Management Conference takes place Wednesday through Friday, May 21-23. 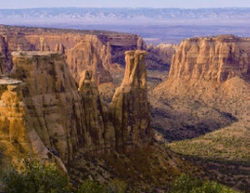 Surrounded by the Grand Mesa, Colorado National Monument and the Bookcliffs, the Grand Valley is one of Colorado’s very special places. Please join us. The City of Arvada has taken the initiative to communicate its concerns about continued funding cuts to our housing and community development programs. Colorado NAHRO members are encouraged to follow Arvada's lead and make an effort to communicate with the representative from your district and the Senators. Click here to view a sample of the letter sent to Representative Perlmutter. Having a place to live is a basic need for everyone. Yet, for some people, it remains out of reach. Public housing serves approximately 2.2 million people across the U.S., but the need is much greater; more than half a million people are on waiting lists. 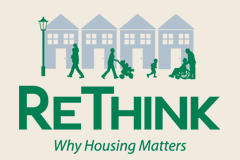 Watch, read, and share the inspirational stories from public housing and rethink its impact on individuals, families, and your own community. Click here to view the national NAHRO 2014 Poster Contest video highlighting the winning entries. After 13 years with NAHRO, Jonathan Zimmerman has decided to accept a position with the Public Housing Authorities Directors Association. His last day at NAHRO will be December 13. Jonathan informed us of his plans yesterday. We are sure that this news comes as something of a shock for many of you; we can assure you that our initial reaction was similar. Jonathan has long been a highly regarded member of the NAHRO staff, and we are of course disappointed to see him leave, especially for a competitor. We have spoken with Jonathan at length about his decision, and while we have no doubt that his affection for and loyalty to NAHRO and its members runs extremely deep, we also understand and appreciate that Jonathan felt that the timing was right for him, at a personal level, to embrace a new professional opportunity and take on new challenges. The timing for PHADA was also right, in that the organization is faced with the need to proactively and aggressively confront the impending retirements of key staff members during the first half of 2014. And while it is perhaps never the right time to say goodbye to a valued colleague and friend, we now find ourselves confronted, however suddenly and unexpectedly, with the opportunity to seek out and install a dynamic and talented professional to support our efforts to solidify NAHRO’s position as the preeminent organization in the development and implementation of responsible housing and community development policy. To that end, Jeff and I are committed to moving quickly to recruit and hire a highly skilled public policy professional to take the reins of our research, analysis, and advocacy efforts related to the Housing Choice Voucher program as well as other federal rental assistance and capital funding programs (beyond Section 8 and Public Housing) that are growing in importance to our members as they work to expand, reposition, and stabilize their local housing portfolios. We are absolutely committed to identifying the kind of talented individual who will allow NAHRO to emerge from this period of transition more confident than ever in our ability to shape public policy and advance our members’ interests. Effective immediately, and until such time as a new staff member is in place, Tamar Greenspan will serve as the committee’s primary point of contact with the NAHRO staff. In addition, Tamar has been promoted to Senior Policy Advisor. In her first four years with NAHRO, Tamar has proven herself to be an emerging leader in the affordable housing policy arena and we are excited about the many positive contributions she will undoubtedly make in the years to come. Finally, we are pleased to announce that Jenny Hsu has joined NAHRO as our Community Development Policy Analyst. Jenny’s portfolio will include several federal community development and affordable housing programs, including the Community Development Block Grant program, the HOME program, and HUD’s homeless assistance grants. After a period of transition, she will also serve as the staff liaison to the Community Revitalization Committee. Jenny holds a Bachelor of Arts in Sociology from the University of Maryland and earned a Master of Urban and Regional Planning degree from Florida Atlantic University, where she completed a Master’s Thesis titled “Inclusionary Zoning and Urban Planning Tool to Reduce Homelessness.” Most recently, Jenny has worked as a research analyst, project field liaison, and ethnographer for SmartRevenue, Inc. Jenny’s email address is jhsu@nahro.org and her extension is 7202. Please join us in welcoming Jenny to the NAHRO team. Thank you for your commitment to NAHRO and for your service to our industry. As always, we are available to assist you in any way and at any time. If you have questions or concerns regarding this communication, please feel free to contact Jeff or me. 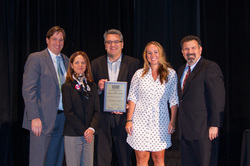 Last week, we concluded NAHRO’s National Conference and Exhibition in Cleveland, Ohio. While there were many highlights, which will be covered in the days to come, I would like to focus on how the conference was also a national leadership transition event. NAHRO elected a new President, Preston Prince, from the Fresno Housing Authority (Calif.) and a new Senior Vice President, Steve Merritt, from Norwood Housing Authority (Mass.). Congratulations! We also want to thank Clif Martin, from the Housing Commission of Anne Arundel (Md. )for stepping out and be willing to run for national office. In Cleveland, NAHRO also bid a fond adieu to our now-President Emeritus, Betsey Martens, from Boulder Housing Partners, (Colo.). In some ways, the conference was a validation of her leadership and the legacy that she leaves. Betsey started her work as President with a commitment to educate the public about the best in affordable housing and community development, to activate new ideas and energy in order to make people’s organizations, neighborhoods and communities better places to live and work, and to elevate NAHRO’s position as the association continues to advocate for programs that give its members the flexibility and resources they need to serve some of the most vulnerable in our nation. During her tenure, Betsey testified before Congress and met numerous times with national elected leaders, HUD and other national partners. Throughout, she was always steadfast in her convictions that our vision -- to help create a nation in which all people have decent, safe, affordable housing and economic opportunity in viable, sustainable communities -- cannot be ignored, marginalized and maligned. Betsey faced opponents with courage, grace and compassion. She has always known that without the determination and will to educate, activate, and elevate, we are destined to repeat our mistakes and be perceived as outliers in our nation’s societal infrastructure. Betsey’s leadership efforts to EDUCATE include the expansion of engaged policy thinking and debate via One Book for NAHRO and the great films shown at our meetings. They also encompass the expansion and success of NPDS -- and especially training for Commissioners -- and the raising of the level of NAHRO members’ contact and communication with our elected officials from community to Congress. If we don’t speak out individually and collectively, the people we serve will suffer the most in the end. She also guided NAHRO’s efforts to ACTIVATE the work we do by creating a more robust Legislative Network with Commissioner representation from each region and appointing, for the first time, a MSC member to the LegNet. The work she led allowed us to influence bedrock deregulation by HUD that will surely show the way for more responsible and effective deregulation. She was also front and center in the attempts to pass voucher reform -- efforts that will serve as the foundation of future reform endeavors. Betsey also focused on making sure that there is a public housing preservation program that works for the entire inventory without dismantling our mission of serving those most at risk. Betsey’s sharp intellect and long-term vision also positioned NAHRO to ELEVATE our strategic thinking and work towards creating a legacy of leadership. We are now better aligned as a national, regional and state organization and, most importantly, more solidly committed to both expanding the conversations about and working toward greater diversity.